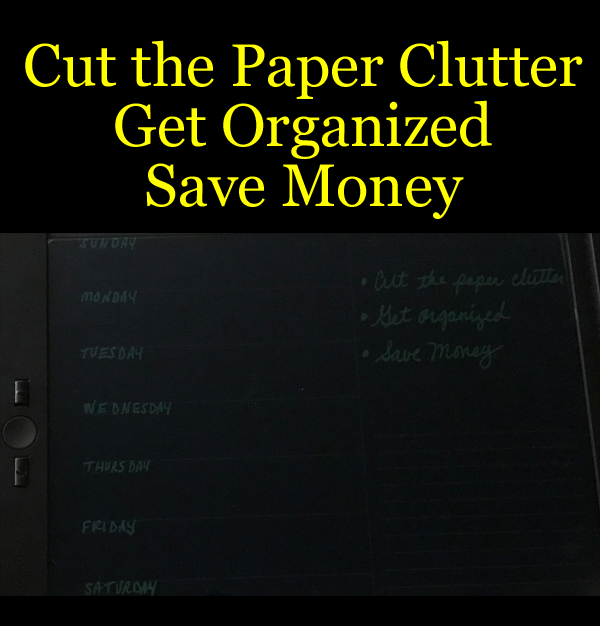 Are you looking to cut the paper clutter, get organized and save money? 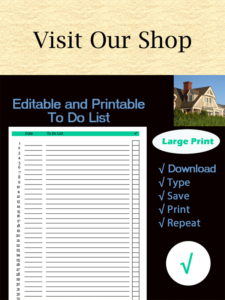 If you are looking for a way to reduce your paper clutter, get organized and save money, you’ll want to read on. We recently came across a unique product that can help you do it all. It was a board to write on, but without the paper. This liquid crystal board was designed so that you can write on it and then erase it. 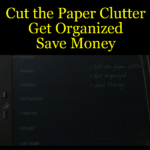 So you can reduce the clutter around your home and save paper. What a great idea! Honestly, it was the schedule that caught our eye. The thought of planning our week without using a piece of paper was very intriguing. It worked out just as we thought. We weren’t quite ready to erase our board, so we snapped a picture with our cell phone so we could save the schedule for the rest of the week. The other backgrounds worked great for our purposes. We used the blank paper to draft an article for our website and later made a quick to do list using the lined paper. The 8.5 x 11 inch board really suited our needs. However, it comes in smaller sizes as well as different colors. Just know that not all boards come with the handy lined paper or schedule backgrounds. This Boogie Board 8.5-Inch LCD Writing Tablet comes in cyan blue and can fit nicely in a purse, school backpack or briefcase. 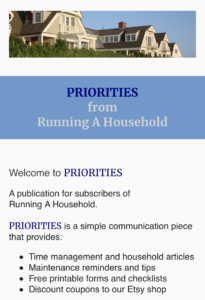 This entry was posted in Organization and tagged get organized save paper, liquid crystal board, save paper and money on November 27, 2017 by Running A Household.